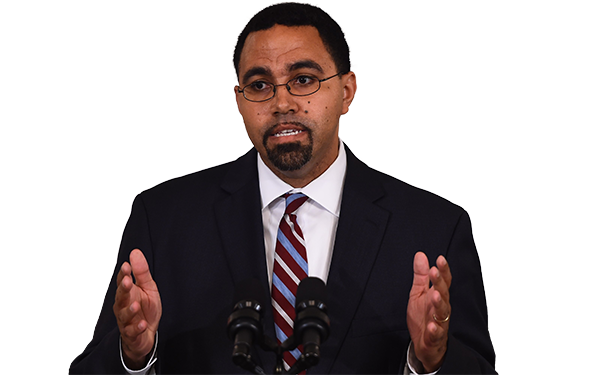 The United States must embrace radical reforms not only to end the school-to-prison pipeline but also to help young people already in the prison system re-enter schools after incarceration, acting Education Secretary John King and other policy leaders said this weekend. King implored an audience of education advocates and journalists to take meaningful action in addressing the issue, broadly defined as harsh discipline policies that push students — primarily young men of color — out of school through suspensions and expulsions and into the criminal justice system. “Sometimes those who care deeply about social justice are guilty of spending more time admiring the problem than solving the problem,” he said. Cami Anderson, the former superintendent of the Newark schools and the panel moderator, said education reform advocates have been “part of the problem.” This is the first time TFA has had the issue on a convention agenda, despite widespread interest, she said, noting that other education reformers and groups are guilty of backing zero-tolerance discipline policies and schools that “push out” the most difficult students. King said just as the school-to-prison pipeline is tied to broader problems of race in America, like the killing of young black men by police and high unemployment rates for men of color, so too must the solutions to it be more expansive. The first part of the solution is to create “public schools that every child can go to that reflect what each of us would want for our own children,” he said. That school system is both excellent and expansive, and includes high quality preschool, a well-rounded curriculum and the wraparound services many children in poverty need, King said. Next, there must be more supportive systems and structures that create a diverse teaching force, allow for equitable school financing, and permit and encourage conversations around the “challenges of our diversity,” he said. Finally, there must be a “prison to promise system” to help ex-offenders once they leave jail. In other words, creating a pathway for those caught in the school-to-prison system to then return to school. King said he’s pleased Congress will be discussing criminal justice reform, but is disappointed it seems that the conversations will focus primarily, if not exclusively, on reducing sentences. King said the country must focus on prison reform, including eliminating violence and sexual assaults in prisons and jails, and ending solitary confinement for young people. There also must be education and job training opportunities to those who are incarcerated, and the country must reform policies that often ban ex-offenders from housing and jobs, he said. Other panelists focused on those issues of how to help people once they are in prison or are exiting the corrections system. Amy Roza, director of the Goucher Prison Education Project, discussed her work, which brings professors from Goucher College, outside Baltimore, to Maryland correctional facilities. The professors offer regular classes and students earn college credits. It is one of perhaps a half dozen colleges serving those who are in jail. The Goucher project is also the first recipient of a new experiment by the Education Department that will allow those who are incarcerated to access Pell Grants to pay for higher education programs. Roza said access to college credits, like other education and job training programs, reduces recidivism, the likelihood that someone will return to prison within a year of release. There’s a bigger reason for providing the service, though: she prefers to think of the classes as returning stolen property to its rightful owner. 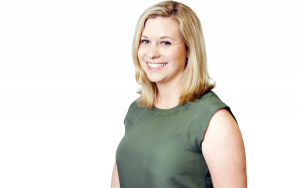 Claire Bluemenson, executive director of the School Justice Project, works with students over the age of 18 who have disabilities and are trying to re-enter the education system after having been in prison. Her clients often find their individualized education plans don’t transfer to the juvenile justice facilities, or credits for classes they took while incarcerated don’t transfer back to the traditional education system. Some are forced, as 19- or 20-year-olds, to re-enter high school as freshmen and take classes with 14-year-olds, she said. “This kind of thing is appalling, and yet if we’re not including them in the conversation, we’re never going to change it,” she said.